Ultra4 has grown well beyond the performance of those days of early racing. With that incredible growth, sometimes finding improvement in the parts you've come to rely and depend on requires not just a tweak here and there, but a full on re-thinking of the materials an processed used to create it in the first place. Welcome to the next level of Ultra4 braking performance, now made possible with the all new chromoly heat treated Spidertrax Pro Series Rotor. 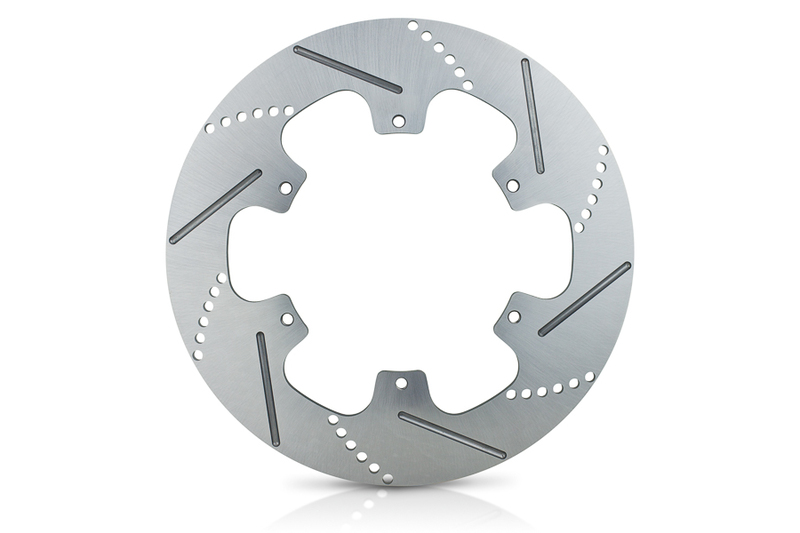 This Pro Series Rotor is designed to work with Spidertrax 5-1/2" BC Hats. Rotor measures 3/8" thick. To clear the diameter of this rotor, a 17"+ wheel is required. 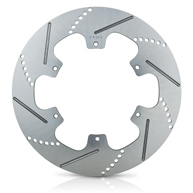 Building on years of testing in Ultra4 & short course venues, we've developed an all new rotor that exceeds every braking performance category Ultra4 has come to know. We start with the finest domestic grade chromoly steel, laser cut to precision boasting our time proven 14" diameter profile. 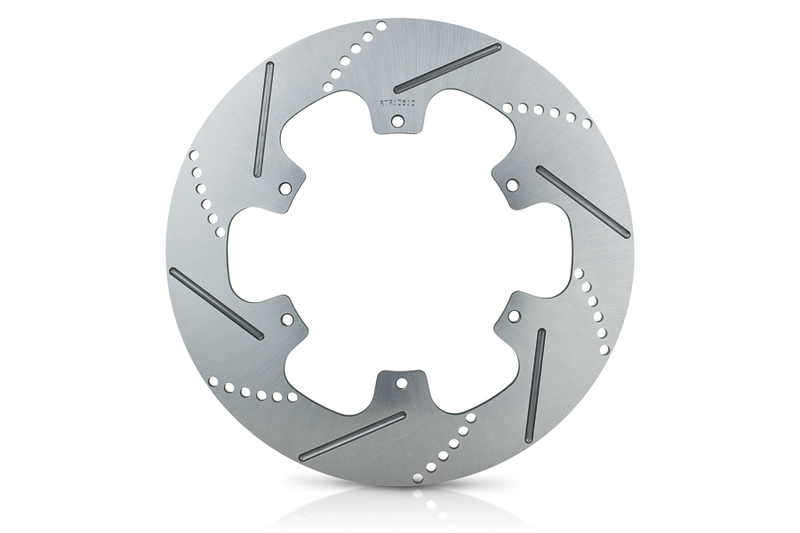 After laser cutting, we CNC machine both sides of every Pro Series Rotor with our unique Ultra4 hole & slot pattern, designed specifically for optimized pad wear. 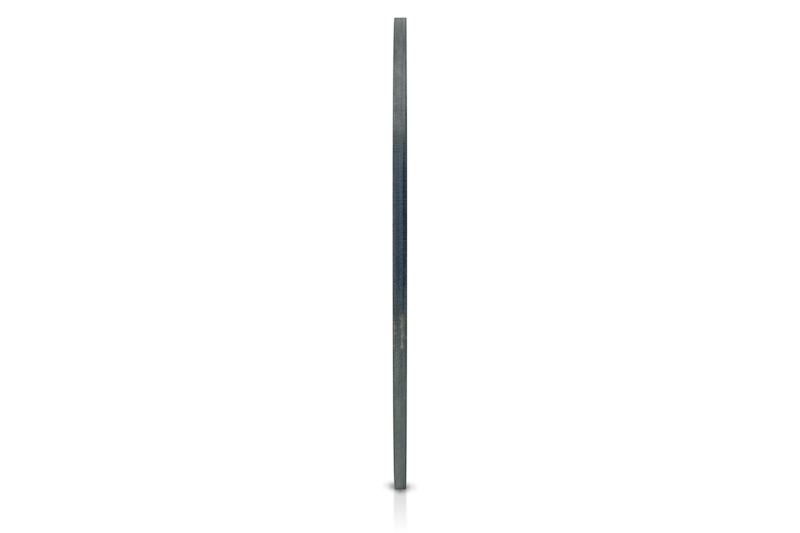 CNC machining allows us even finer precision, giving us the ability to provide both hole & slot patterns beyond the tolerance and capability of laser. After CNC machining, every Pro Series Rotor is heat treated using the strictest standards in the industry. 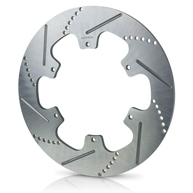 Heat treating provides a number of benefits to our Pro Series Rotor including unprecedented wear life, elimination of any potential warping under heavy use, and the ability to handle more aggressive brake pad compounds. After heat treat, we finish every Pro Series Rotor with double surface grinding, holding a rotor straightness of just .002". 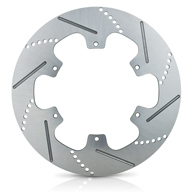 This ensures every Pro Series Rotor is perfect, with zero worry of odd brake pedal feel due to a warped rotor. 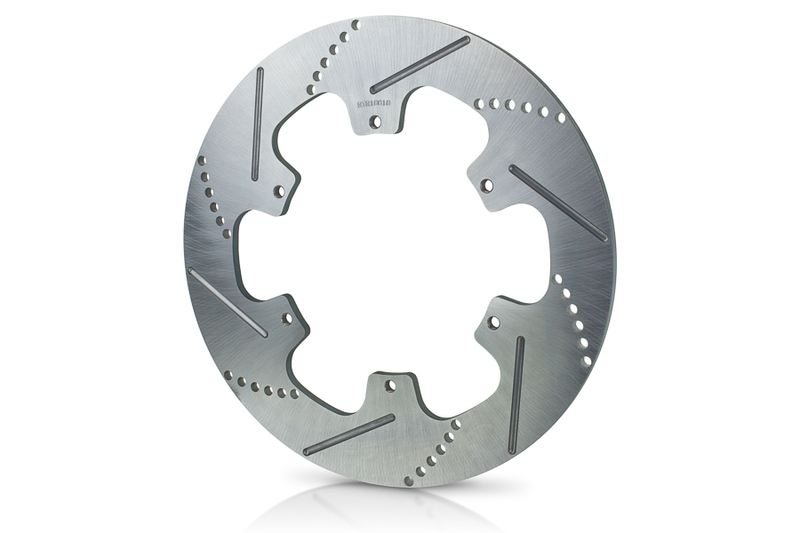 Out of the box, Pro Series Rotors are ready for race day the second you install them.